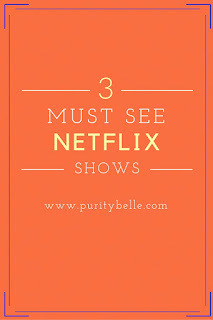 Netflix Recommendations, my top 3 Must See Shows of the moment. I'm a huge fan of Netflix, what's not to like, after all? I've watched some incredible series like Breaking Bad, Orange is the New Black and House of Cards, all outstanding dramas with incredible scripts and talented actors. I'm going to share with you 3 of my favourites of the moment, all very different but excellent viewing. 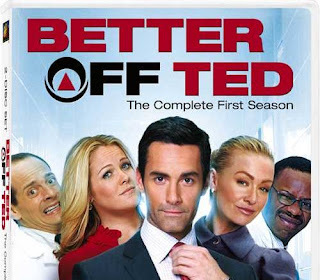 First up is Better off Ted. We discovered this purely by accident and after watching it, I'm pretty amazed that I hadn't heard of it before. 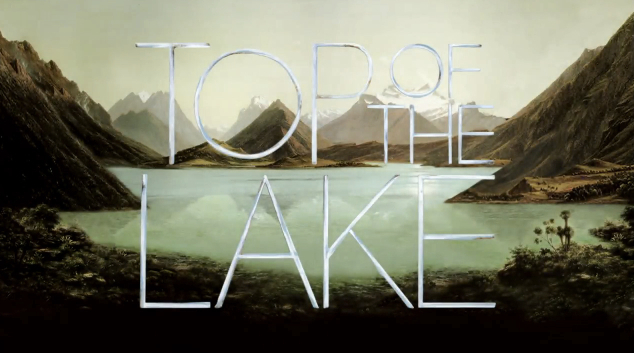 Unfortunately there are only 2 seasons but this is one you definitely need to add to your list. Hysterically funny and sharp, the acting is outstanding and the script is fast moving and clever at all times. Portia de Rossi is brilliant as the soulless corporate leader and Jay Harrington is her perfect foil, a more human buffer between her and her underlings. Andrea Anders is Linda, a loveable character who has been unaffected by the corporate bug and brings a fresh realness to the team. One of my favourite episodes is 'Jabberwocky', where Ted moves some money around to allocate funding to a 'greening' roof garden project which Linda wants to oversee. Unfortunately, Veronica has spotted the financial discrepancy and Ted is forced to concoct a secret fictional research project called 'Jabberwocky'. The project takes off like wildfire despite not actually existing at all, with staff vying for a spot on the Jabberwocky team and everyone afraid to admit that they don't actually know anything about it. It has an air of the Emperor's New Clothes and completely satirizes the Corporate world of smoke and mirrors. I was so disappointed that they didn't make any more series but it's a laugh out loud comedy that's totally worth watching. Next up is Peaky Blinders, a much darker and more serious drama. 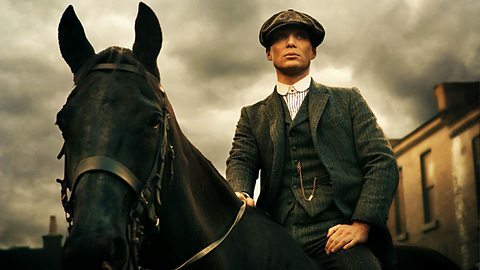 Loosely based on historical fact, the series is set in Birmingham and looks at the lives of the Shelby family, also known as the 'Peaky Blinders'. Cillan Murphy is brilliant as the suave and clever Thomas Shelby - although the other family members seem to favour violence as a modus operandi, Thomas Shelby brings an additional brilliance to his planning and actions. And it's hard not to admire his intelligence and far thinking approach to business. Historically it's really interesting and atmospheric, introducing us to all classes and creeds of the time. Sam Neill is truly amazing as Chief Inspector Campbell - sent over from Northern Ireland to clean up the streets of Birmingham, he is a morally repugnant character. Somehow it seems easier to like the violent criminal gang members than to approve his methods. The female characters are strong and relentless in their family loyalty, chief among them is Polly, played by Helen McCrory. She is a tough woman, unafraid of using violence herself and you can see how the hardships of her life have brought her to this point. The only jarring note for me in the first series is Ananabelle Wallis as Grace Burgess, the undercover agent who ends up falling in love with Thomas Shelby. She seems insipid and lacklustre compared to all the characters around her and her Irish accent was a constant source of annoyance for me. The music in the series is also really interesting as a modern soundtrack has been put with an historical drama and although it feels a little strange initially, it works incredibly well. Last but definitely not least is Top of the Lake, a series set in New Zealand and written by Jane Campion and Gerard Lee. It is directed by Jane Campion and Garth Davis and if you know anything of Jane Campion's work, you won't be surprised that this series is visually stunning. Like the acclaimed film The Piano, the scenery here is breathtaking and beautifully filmed. It has a sense of stillness in the landscape with a sinister undercurrent running through relations in the community. The theme is dark, 12 year old Tui is discovered to be pregnant, the father unknown and when she then disappears, everything about the small community is put under the microscope. Holly Hunter plays the part of a spiritual leader, guiding a small group of women and she shines as always, commanding every ounce of our attention. One of the main characters is Detective Robin Griffin, played by Elizabeth Moss (best known as Peggy in Madmen) and there is a powerful performance by Peter Mullan as Matt Mitcham, tough man and Tui's father. I've only watched a couple of episodes and I'm completely gripped by it and can't wait to see the next episode later this evening. Hope you have enjoyed my summary and recommendations. 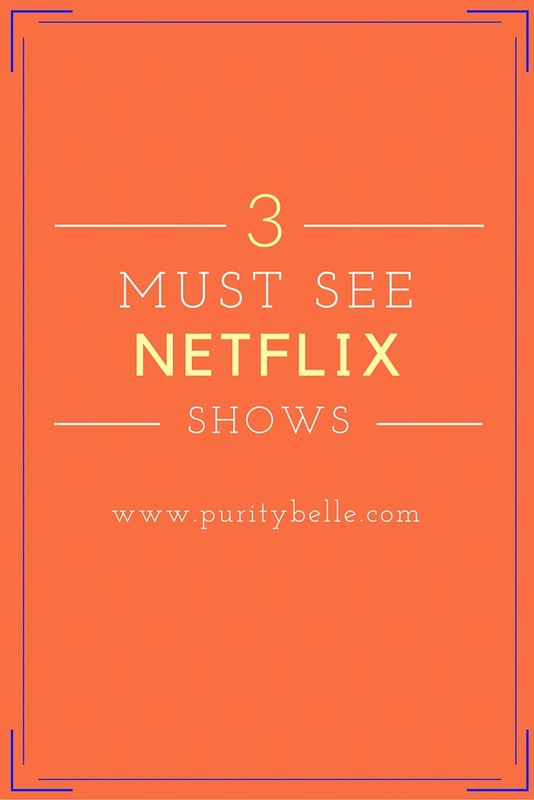 Do you have a favourite Netflix show? let me know! We just got Netflix and I love it! It's brilliant to get TV without the adverts. We've just started watching Breaking Bad and we're addicted. Oh never heard of Better Off Ted, must check it out the weekend!! Sound like my kind of thing! We don't have netflix but i do love movies. My daughter likes to watch all the disney's too- i bet they have them on netflix! I love better off ted! If you haven't already watched it I recommend you try arrested development. It's a lot like bot.